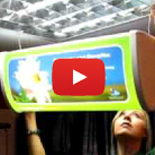 The most cost-effective lightbox on the market - uses existing internal lighting for illumination. Description All your Freelight Plus will be sent as individual units by parcel delivery. Your Freelight Plus will be sent in two separate deliveries – one by pallet, one by parcel. 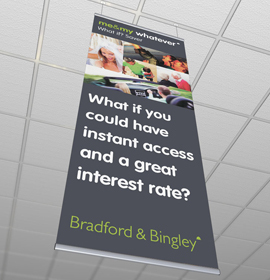 Freelight Plus offer unbeatable long-term return on investment – simply change the insert for new promotions or leave in for permanent display. Uses existing in-store lighting for illumination. Flat-pack design – easy to assemble and install. Graphic inserts quick and easy to update. Opal ‘lampshade’ PVC insert - ideal for translucent vinyl or printed graphics. Ceiling hooks and two styles of ‘button’ eyelets. Coloured and/or pad printed end caps available (minimum order quantity 500).